Saturday’s down-to-the-wire victory over Rutgers Prep was especially sweet for senior Alex Schnachne. In addition to contributing 18 points and five assists, the point guard notched his 1,000th point with Knights basketball early in the game. Saturday also marked the fourth consecutive Somerset County title for the Knights, with Schnachne on the varsity squad for each of them. 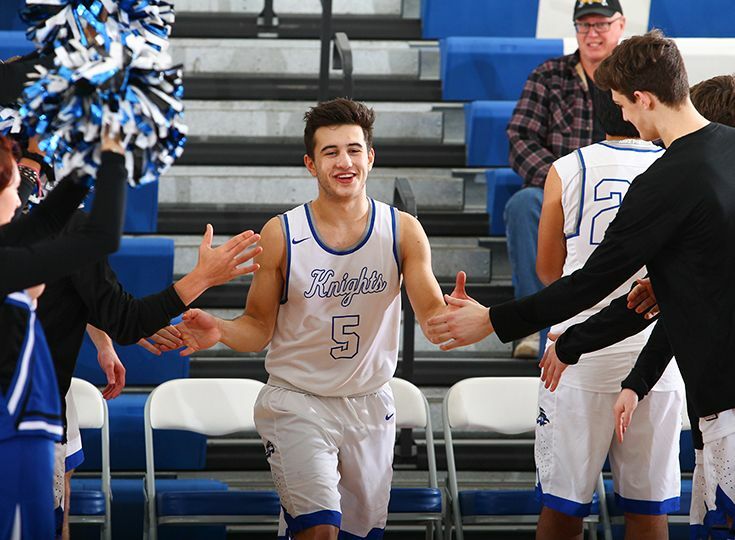 Averaging 15 points and seven assists per game, Schnachne has been an important factor in the Knights’ success this season and is poised to continue his basketball career at Johns Hopkins next year. In the meantime, he and the rest of the team are intensely focused on the NJSIAA state tournament. The Knights, currently 21-4, will face Marist High in the opening rounds at 7:00 p.m. Tuesday in the Athletic Center. Congratulations Alex and Go Knights!